Huge Savings Item! 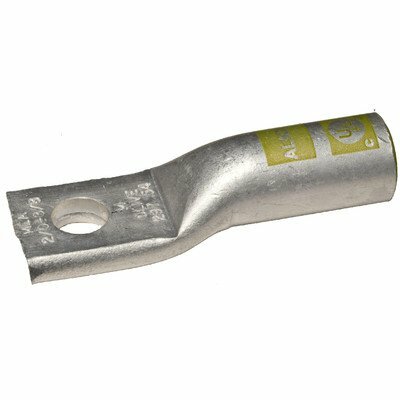 Save 17% on the Morris Products 93066 Compression Lug, 1 Hole, Aluminum, 250mcm Wire Range, 1/2'' Stud Size by Morris Products at UCBC Group. MPN: 93066. Hurry! Limited time offer. Offer valid only while supplies last. Single Mounting Hole. Color Coded for Easy Identification. Marked with Die Index. Crimp Marks indicate Proper Crimp Locations. UL486B Listed AL9CU. Single Mounting Hole. Color Coded for Easy Identification. Marked with Die Index. Crimp Marks indicate Proper Crimp Locations. UL486B Listed AL9CU. Listed for 35KV when properly installed. cULus Listed.